"Athena" Gym: aerobics, step aerobics, super floating 3b flex floor. 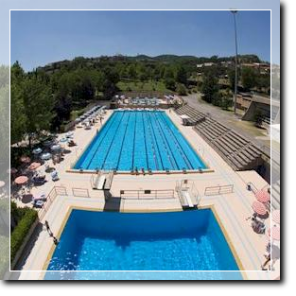 "Nettuno" Swimming Pool: 50 m long Olympic-size swimming pool, 25 m long indoor swimming pool, pool for diving with springboards and platforms, children swimming pool, animation and miniclub. 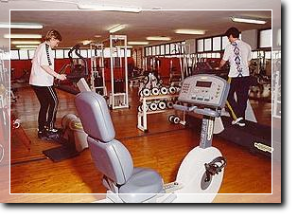 "Marte" Gym: body building and cardio-fitness. Indoor Sports Hall: volleyball, basketball, five-a-side football. "Apollo e Venere" Wellness Center: sauna, Turkish bath, tanning center, whirlpool bath, beauty treatments. Animation, aerobics, ABT, step aerobics.